Often found growing along roadsides, ditches and other humble places. For his second solo exhibition with Galerie Parisa Kind, Hannes Michanek will present a new body of oil on canvas paintings and a sculpture. Michanek studied between 2007 and 2012 at Städelschule in Frankfurt and graduated in 2012 under Prof. Michael Krebber. Shows include „Blue Mountain“, Oberfinanzdirektion Frankfurt/Germany (solo, 2016), „Little man with tall hat, Once said, do this, do that. 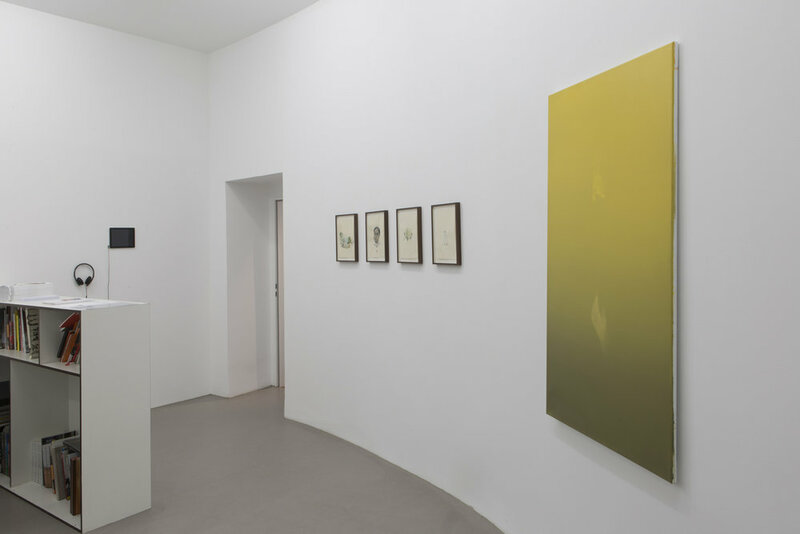 With feet on sky and head in sand, followed was his command“, Kunstverein Assenheim/Germany (solo, 2015) and „Zauberberg“, MMK Zollamt – Frankfurt/Germany (group, 2012). Hannes Michanek's works are included in the collection of MMK Museum Frankfurt, Städtische Kunstsammlung, ECB Collection, Commerzbank Collection as well as international private collections.